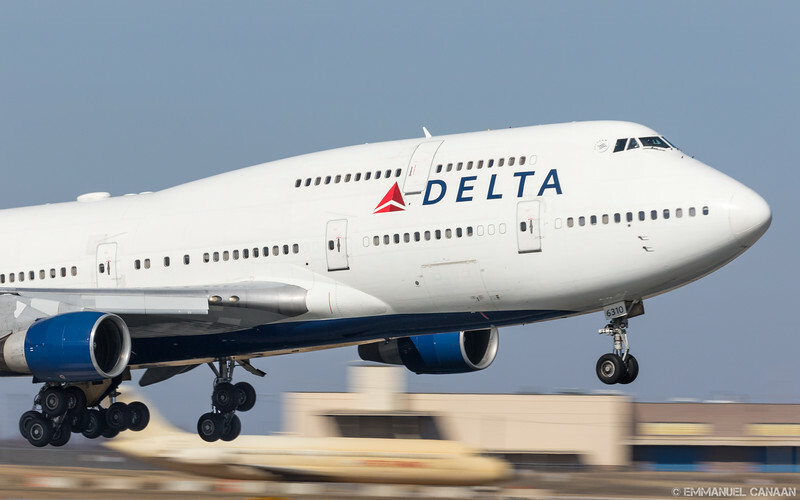 In my opinion, there is no aircraft more iconic, or more recognized around the world than the Boeing 747. It goes by many nicknames such as, Jumbo Jet, Whale, and the Seven Four. 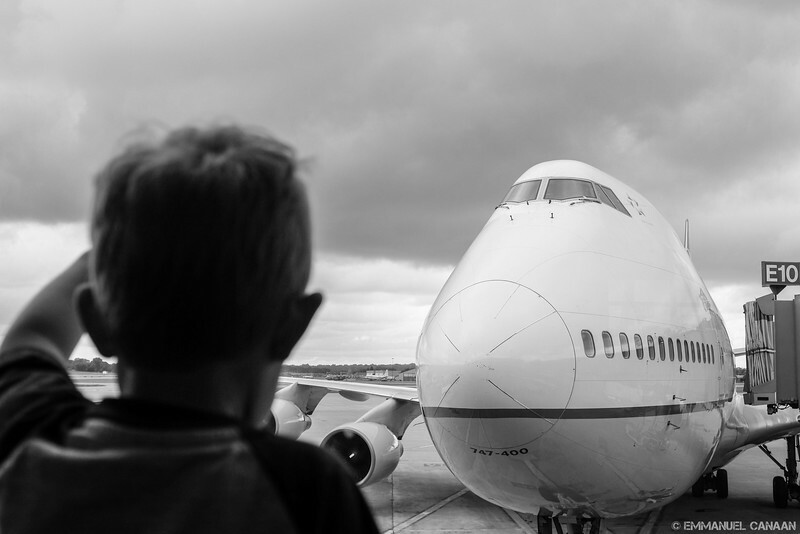 However to many diehard aviation fans, it becomes a “she”, and not just any she, but The Queen of the Skies. She has captured many aviation lovers’ minds as far back as 1968, and has continued to wow fans of all generations since. 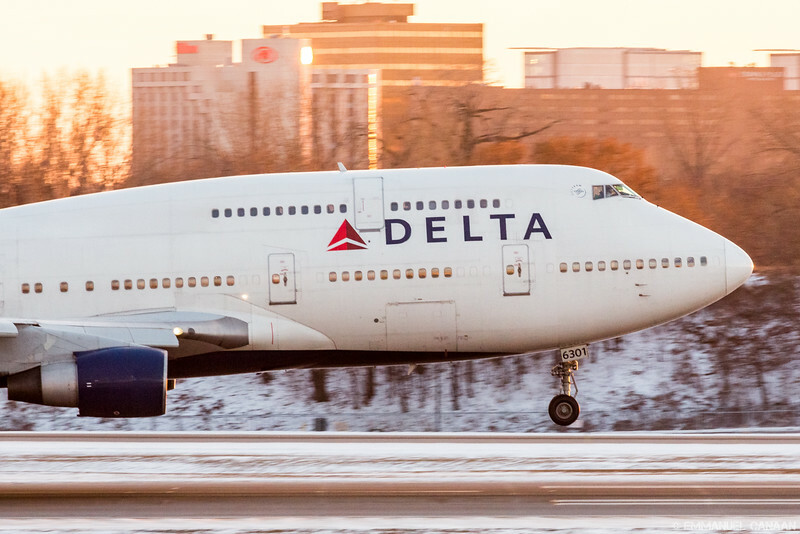 It is hard to say why people love the 747. 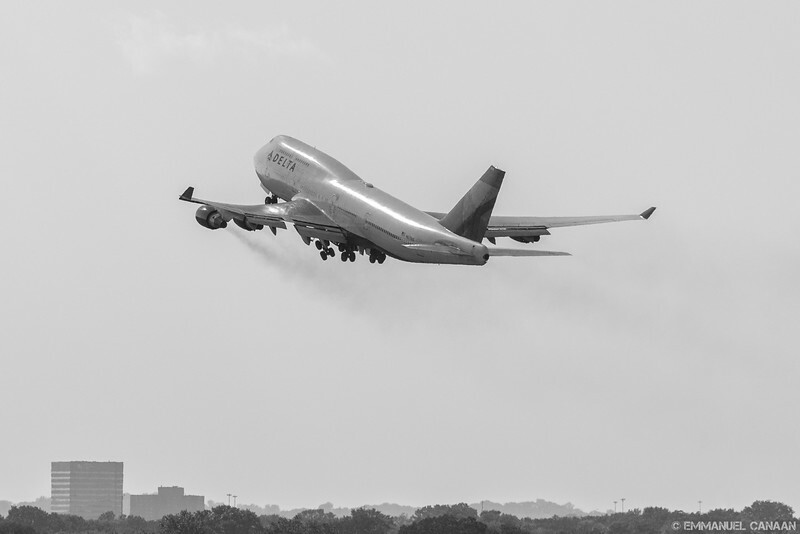 Perhaps it’s the graceful way it pulls off being one of the largest aircraft in the sky, or perhaps it’s the unique two-deck design. 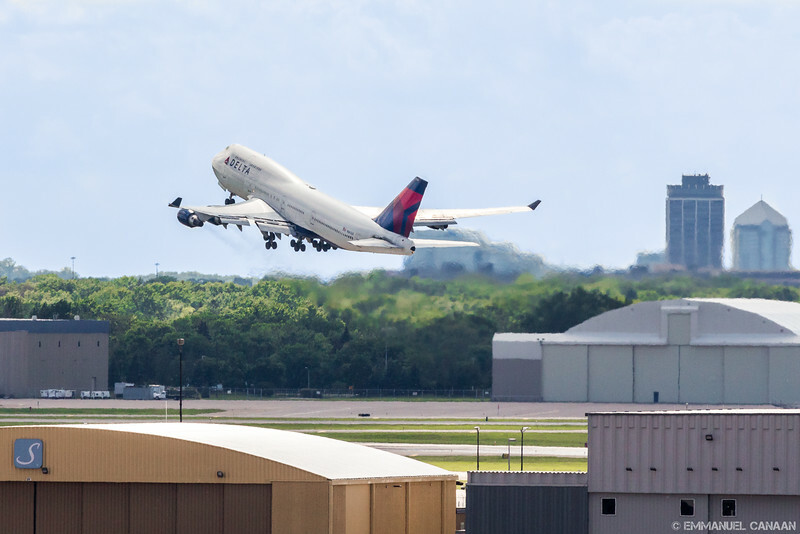 It could be the fact that every takeoff is proof of the miracle of flight as over 800,000 pounds launches, seemingly effortlessly, into the sky. There’s also the fact that its long range helped it become one of the first aircraft to genuinely make the world seem like a smaller place. 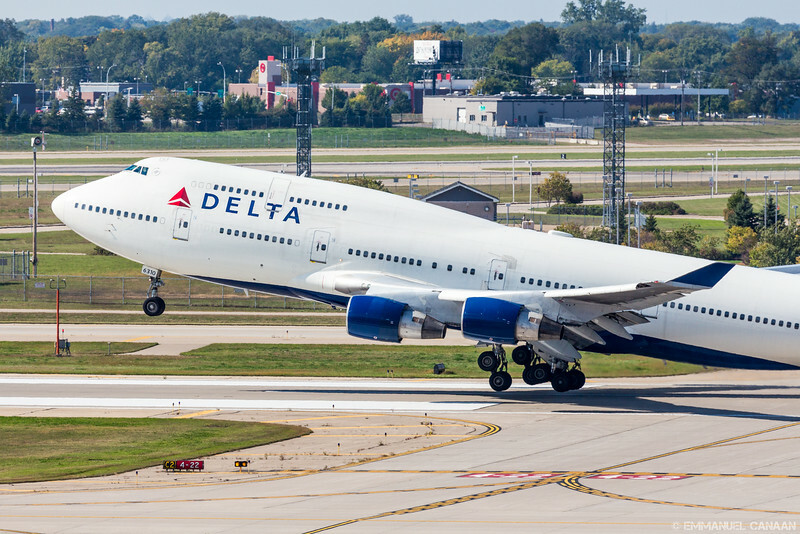 Regardless of the reason, and despite the adulation it receives from passengers around the world, the 747 is a dying breed. 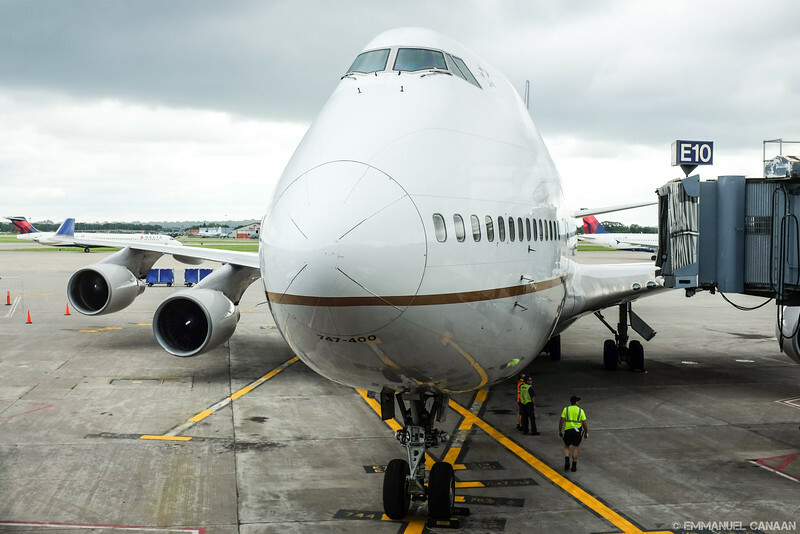 A victim of being too big-boned in a travel market that now seeks the efficiencies of slimmer, more nimble aircraft. As the saying goes, the writing is on the wall for the 747. 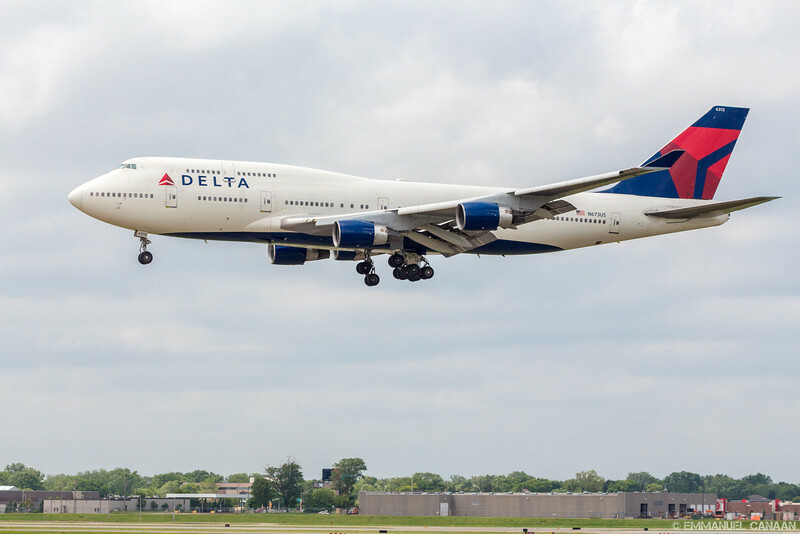 Airlines may continue to fly it for a while, but orders for new aircraft are dwindling. 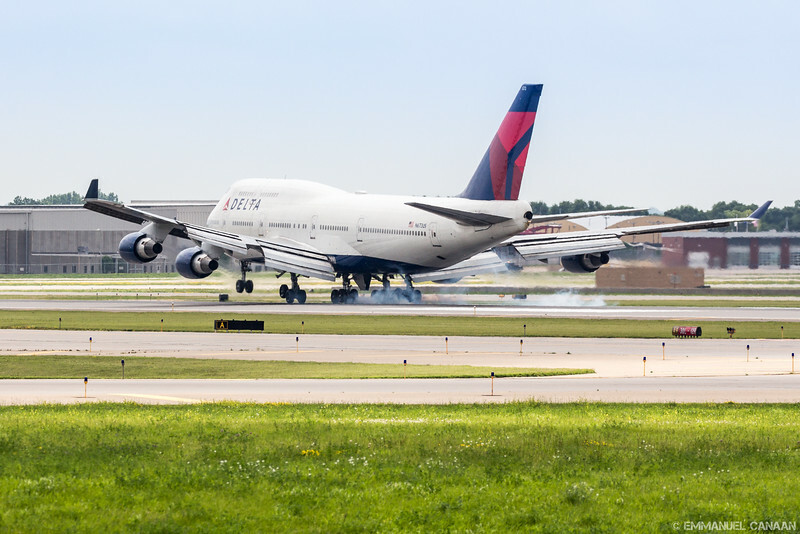 Even its much younger sibling in the land of giants, the Airbus A380, is experiencing a wee bit of turbulence. 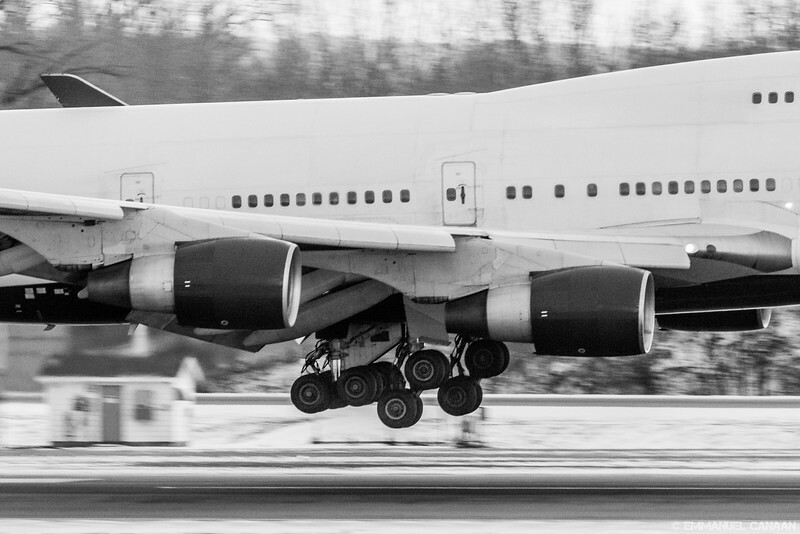 It’s for that reason that I, an aviation photographer in a region that sees fewer and fewer 747s, title this post “Chasing the Queen.” I seek her out whenever I can because I’m not sure when my last opportunity will come to photograph her. 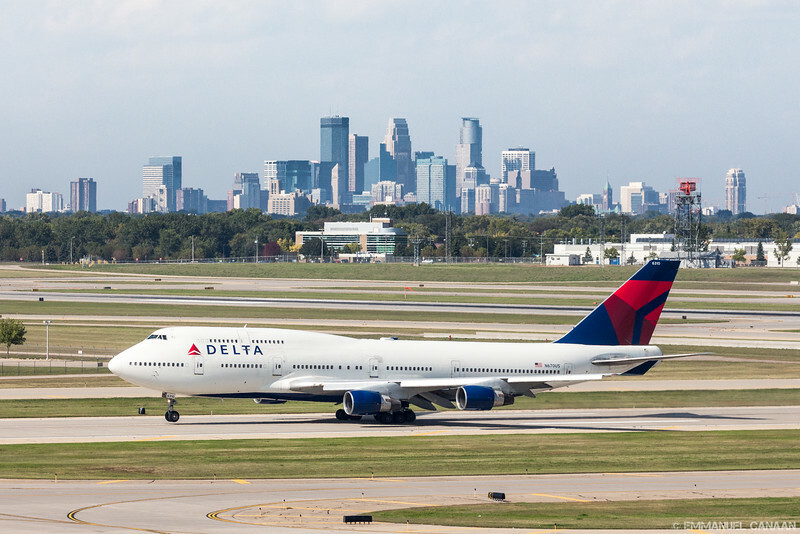 I am based out of Minneapolis, where Delta Airlines rules, and Delta has already committed to phasing out its 747 fleet by 2017 in favor of cheaper, leaner, Airbus aircraft. The time may have already come, where my only hope to see one in my hometown, will be an unscheduled diversion from a nearby city that still receives regular visits from her majesty. This last series of shots represent a bittersweet moment for me. Yes, I had another opportunity to continue my chase, but perhaps for the last time. 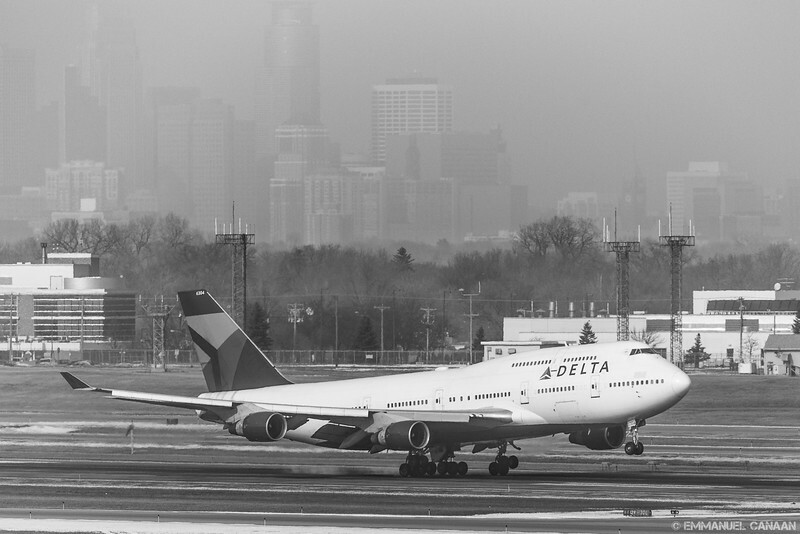 They say “never say never,” but once again, Delta has removed the 747 from regularly scheduled service to MSP. 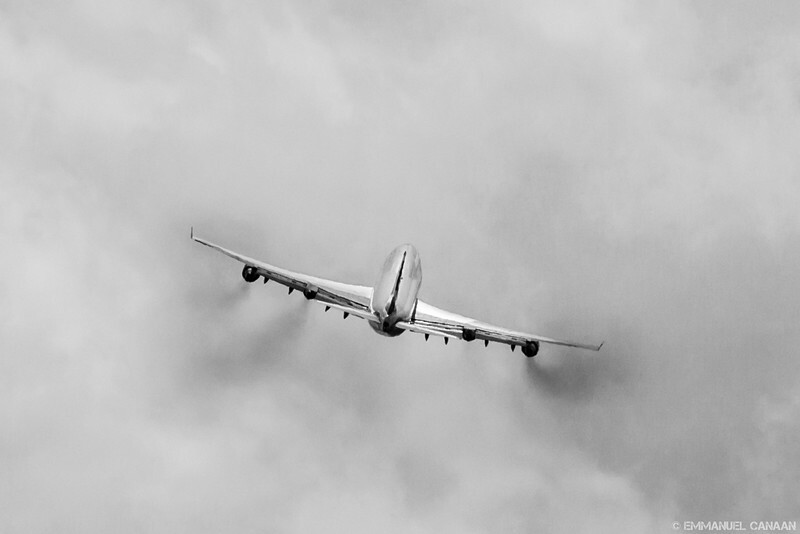 There may be other airlines that bring one in for various reasons, but it will be unpredictable. I sincerely hope that this won’t be the last time I get to capture the Queen of the Skies. For now, my two little boys keep me grounded. Someday they will be all grown up, and I might be able to expand my search to other airports. 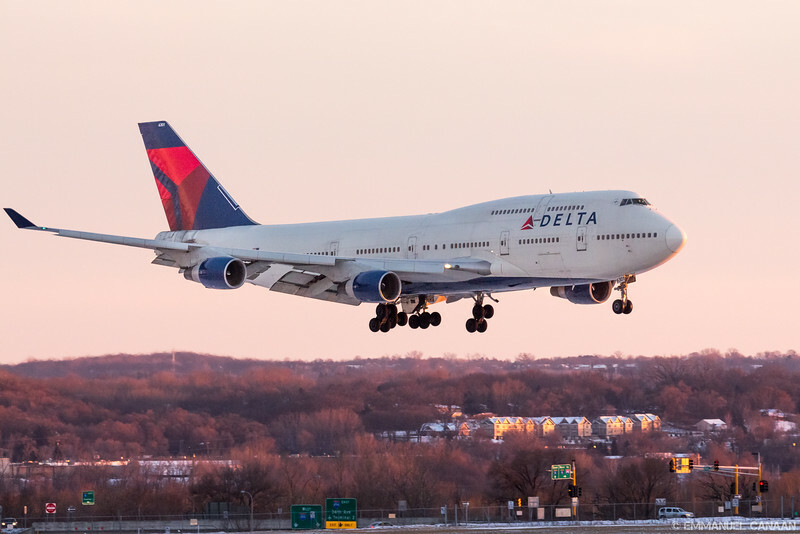 Hopefully carriers will still be flying this beautiful bird. If not, at least I have this short tribute to her that I hope you’ve enjoyed!